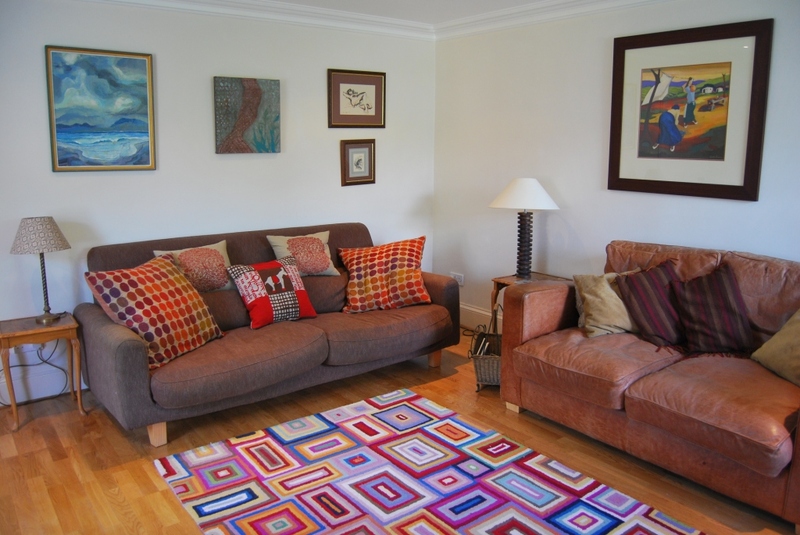 ‘A captivating little cottage, recently renovated to create a simple bright home in the heart of Findhorn’. Original artwork adorns the walls, a Morso woodburning stove warms the living room, and a refurbished kitchen features Habitat units. Myrtle sleeps 6, in two twin rooms (one of which has an en suite shower room) and one double bedroom. An enclosed garden, with lawn and outdoor seating areas, allows for privacy, yet is only yards from the back door of the bakery, the village shop and post office, and the cafe. What do our guests think? They love Myrtle. ‘Very well equipped’, ‘comfortable’, ‘a real home from home’. Feedback here. 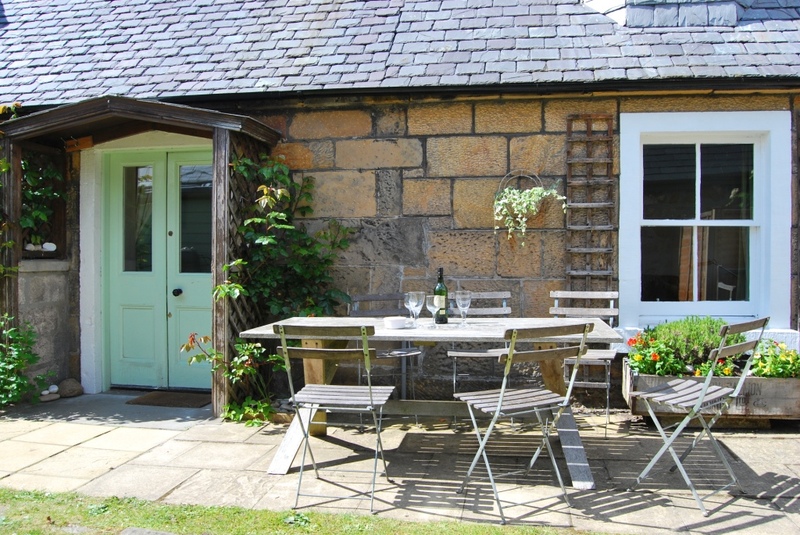 Myrtle Cottage is available from only £450 per week, or £330 per weekend. See the Availability and Rates page for details. Reminders of the setting for Local Hero* with echoes of Nantucket, todays Findhorn is the second incarnation of a small fishing village and natural harbour (the first was washed away in the 17th Century). Stone built fishermans cottages nestle together, interwoven with small lanes where kids can cycle around without a care in the world.The two excellent pubs in Findhorn are but a couple of minutes walk from the cottage, as is the Royal Findhorn Yacht Club and the bay. The beaches are a 5 minute stroll, and the Findhorn Foundation and Ecovillage are a 15 minute walk. Empty golden beaches surround the village, on both the Moray Firth and the wonderful expanse of Findhorn Bay where Ospreys fish for salmon. Seals guard the entrance to the bay, while bottlenose dolphins cavort in the Firth. The ‘Moray Hole’ provides a wonderful microclimate, with Findhorn in particular receiving special treatment due to its position jutting into the Firth. The Monadliath Mountains in the west and the Grampians to the south protect Findhorn from the prevailing wet westerly winds, leaving Findhorn with sunshine, little rain and no midgies! Visitors to Findhorn say they ‘loved the sleeper train up from London’, and sending the kids every morning to ‘the Findhorn Bakery just past the garden gate’. *In fact Local Hero was filmed at Pennan on the Aberdeenshire coast, about 1 1/2 hours due east of Findhorn.